It is a privilege to lead this dynamic, world-class university. I look forward to building on our achievements from 2017 and continuing the task of nurturing and supporting our great staff and students. We are well over halfway through 2018 and what a dynamic and productive year it has been so far. From our consistently strong performances in global rankings, to continued research breakthroughs and important community engagement activities, we can be proud of what we have achieved. This has been accomplished through the hard work and support of our students, staff and community, and I thank everyone for their contribution. 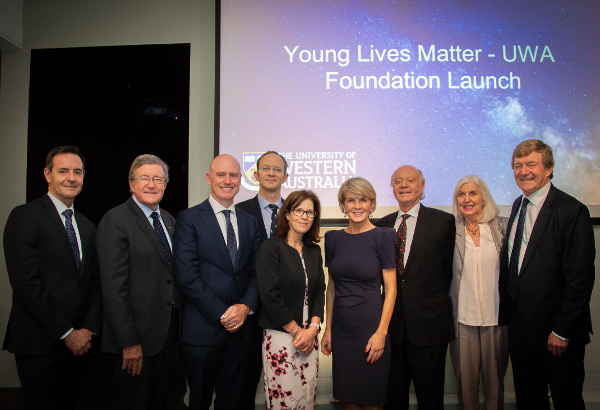 Professor Freshwater joined the Hon Julie Bishop MP and other key stakeholders to launch the Young Lives Matter Foundation, an initiative driven by Foundation Chairman Ronald W. Woss AM (right of Julie Bishop). 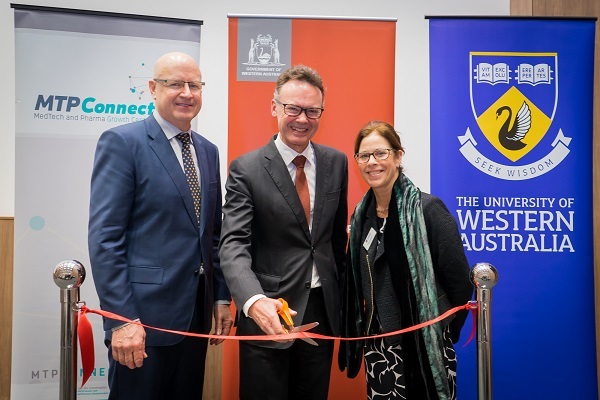 The Vice-Chancellor with MTP Connect CEO Dan Grant (left) and Chris Tallentire MLA (middle) at the launch of the MTPConnect WA hub. 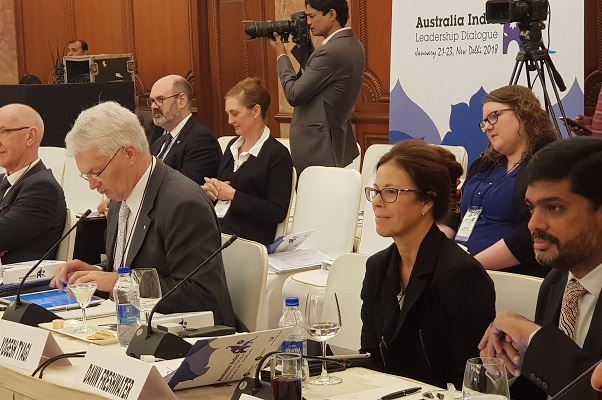 Professor Freshwater attends the Australia India Leadership Dialogue in Delhi with G08 counterparts. 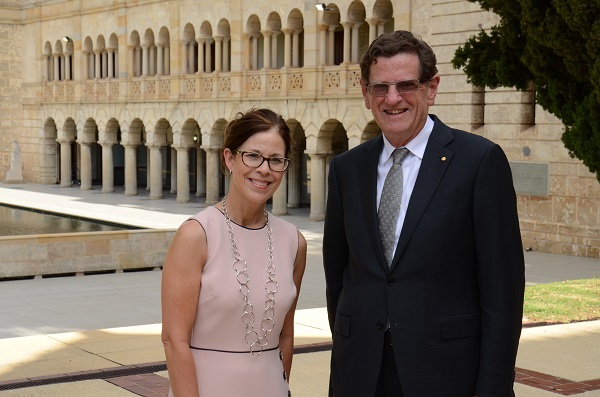 Professor Dawn Freshwater with the Hon Robert French AC before his installation as UWA's 15th Chancellor. 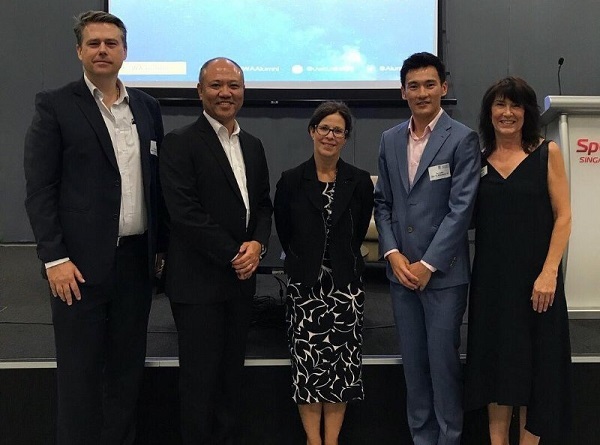 Professor Freshwater with UWA staff and alumni at Unstoppable, an alumni event in Singapore where she shared her vision for UWA. 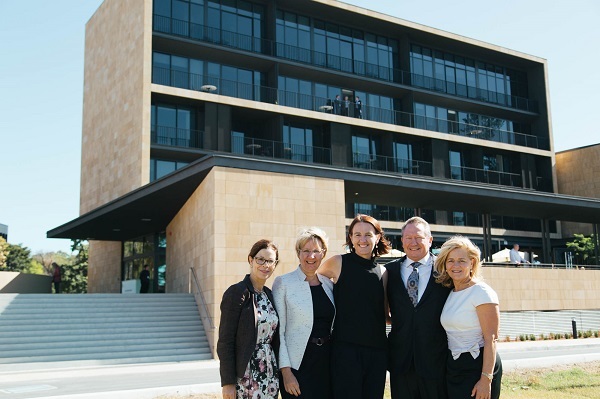 The Vice-Chancellor with Eeva Leinonen (Murdoch VC), Celia Hammond (Notre Dame VC) and Drs Andrew and Nicola Forrest celebrate the official opening of Forrest Hall. This article is reprinted with the permission of The Australian Financial Review newspaper. It was published online on Tuesday 2 April 2019. 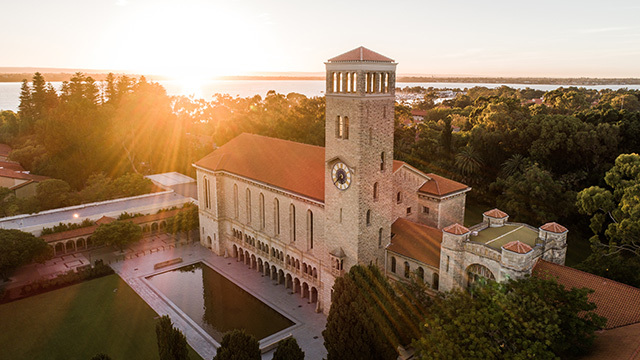 The University of Western Australia Vice-Chancellor Professor Dawn Freshwater has welcomed the release of the International Student Barometer 2018, which showed significant improvements in students’ reported satisfaction.